You’ve seen them on the roads; you might even know a few of them. And you could be one yourself. Distracted drivers in come in all shapes, sizes, ages and experience levels. Even if you’re not one today, you could become one at any moment — in the time it takes you to answer your cell phone or check the kids in the back seat when you’re driving through Prescott. If you or someone else you know thinks you can drive just fine while talking on your phone, think about this: More than 450,000 people were injured in crashes that reportedly involved distracted driving in 2009, according to the National Highway Traffic Safety Administration. More than 5,000 of those people died. Put your phone in silent mode and store it away from the front seat or in a purse or bag. This helps reduce temptation. Have a passenger answer your phone or return text messages for you. 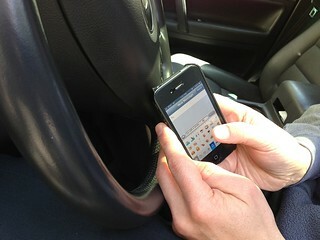 If a call or a text can’t wait, pull over in a safe spot before using your phone. This one seems obvious, but finish shaving or applying makeup before you get in the car! If you’re emotional, wait until you’ve calmed down before hitting the road. Avoid road rage. You’ll be happier and safer.